Sometimes it can be difficult to determine what is best for your child. 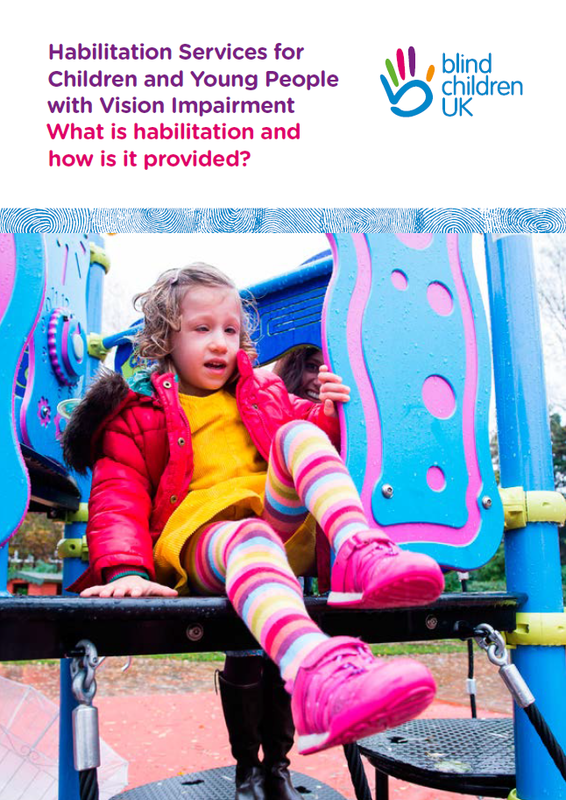 Here you will find information to help you support your child with a vision impairment in achieving their potential in mobility and independence skills. 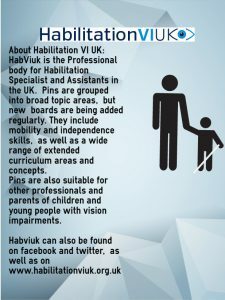 Habviuk has a public presence on twitter and pinterest as well as open and closed facebook pages. Use Pinterest to search specific topics here. Keep checking back as new items and features will be added regularly. These links will take you to external sites. Habilitation VI UK takes no responsibility for content and does not necessarily endorse the views presented on these sites. We’re the Royal National Institute of Blind People (RNIB) and we’re here for everyone affected by sight loss. 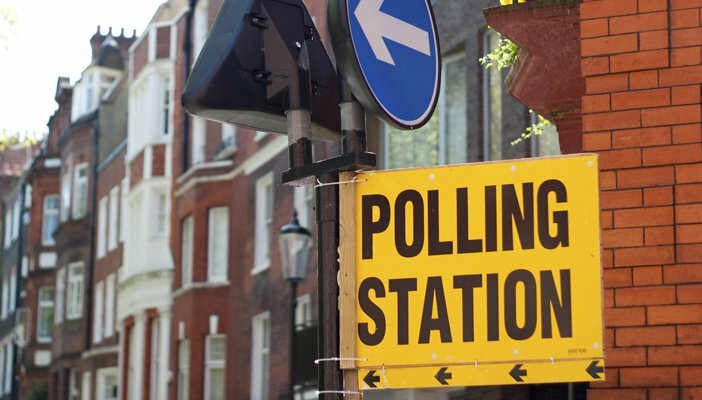 Coming up to voting Age? 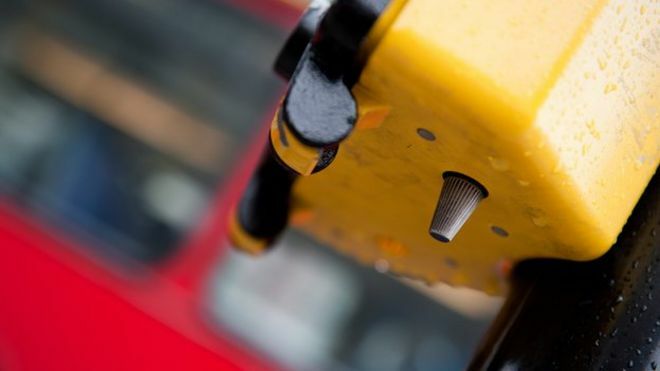 Watch this BBC video to see how to vote when severely Visually Impaired. BBC Ouch BBC Ouch programmes page. Originally a blog about Scarlett’s experiences, it has grown into a forum and social networking space for parents and carers to blog about their own children and a hub of information and advice. as well as the website you can find through Scarlett’s eyes on facebook and twitter. 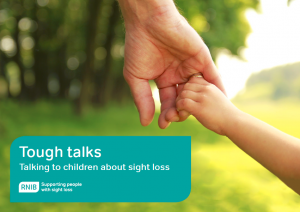 Are you a young person up to the age of 29 and have a vision impairment, or are you a parent of a vision impaired child? Then we want to hear from you. 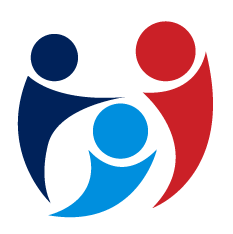 www.WonderBaby.org is dedicated to providing information and support to parents of visually impaired & disabled children. In addition to the website, find wonderbaby on facebook and twitter. Loads of brilliant articles. Henshaws Specialist College in Harrogate is a transformational place. Through our personalised approach to education, learning and care we empower children and young people living with a disability to progress and live life the way they want. Keep up with your children as they learn braille. 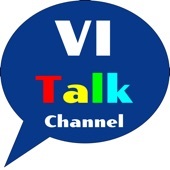 VI Talk also has a webpage, Facebook and a twitter presence. 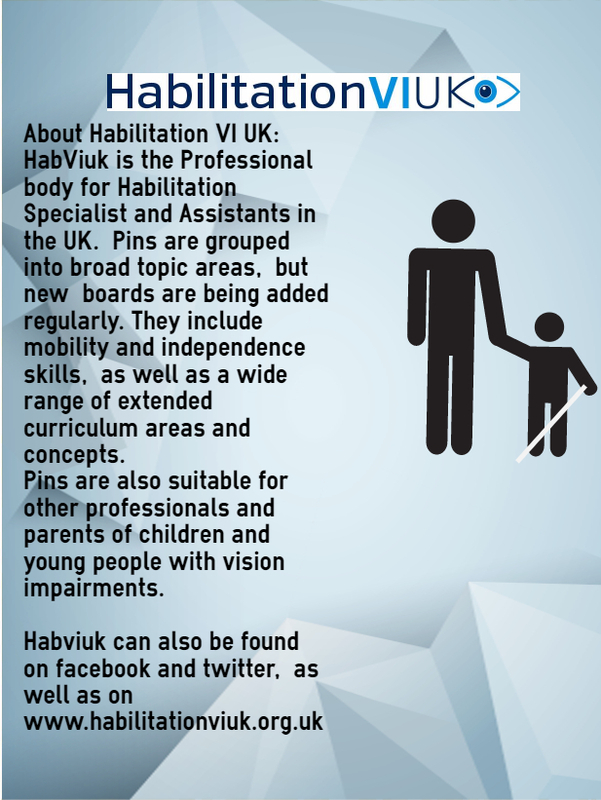 Here you will find information and chat for and by people with visual impairments. It offers support to parents and or to young people and is a great place to keep up with new developments. Young people with visual impairments have so much to teach and share with us, encourage children and young people to become involved with others with visual impairments and profit from their experiences. Try this brilliant blog post as an introduction. Looking for practical help with home or garden projects to improve your child’s independence and well being ? WellChild Helping Hands is a home improvement programme which, with volunteers from local companies, transforms gardens and bedrooms for children and young people with exceptional health needs across the UK. Parents tell the RNIB that one of the most difficult parts of finding out that their child has a vision impairment (VI) is knowing how to talk about it with their child.